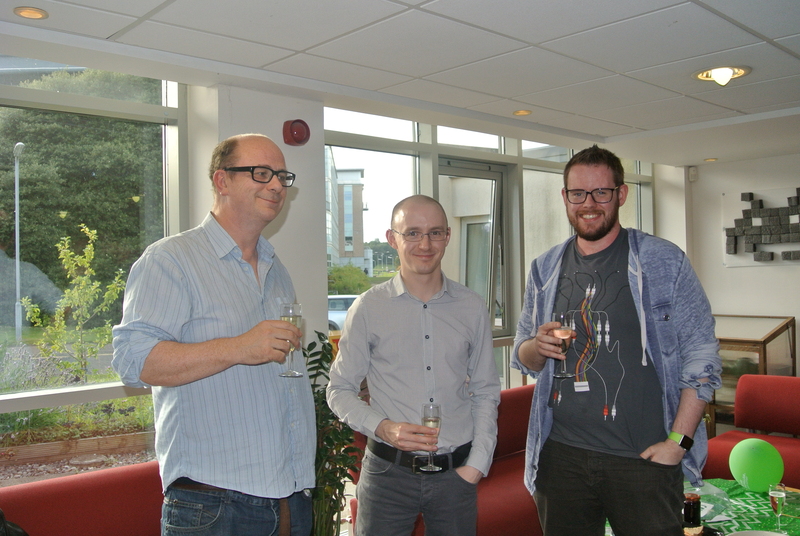 Congratulations to CJ Davies, who successfully defended his thesis today. 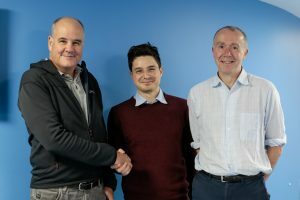 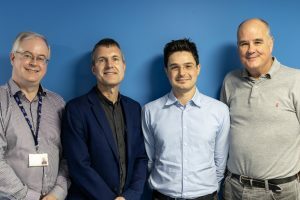 CJ is pictured below with supervisor Dr Alan Miller and Dr Luke Hutton. Dr Ishbel Duncan acted as internal examiner and external examiner was Prof. Vic Callaghan from the University of Essex. 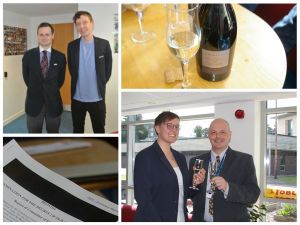 Congratulations to Ruth Hoffmann and Jonathan Ward who passed their PhD vivas earlier this week. Ruth is pictured with Dr Tom Kelsey (internal examiner) and Jonathan (top left) with his PhD supervisor Dr Adam Barker. We look forward to celebrating their achievements at June Graduation.